First, Second, or Third-Party Data– Which Is the Most Effective? A brand’s own consumer data typically sits in silos – offline, email, web, mobile – which makes targeting across each channel challenging for marketers. Onboarding brings offline data sets online, so that all of the data is connected. It bridges the gap between the silos, providing a more rounded 360-degree view of customers and audiences. By matching identifying information from offline datasets, marketers and advertisers can go beyond email and target their CRM lists with display ads across the web and mobile. 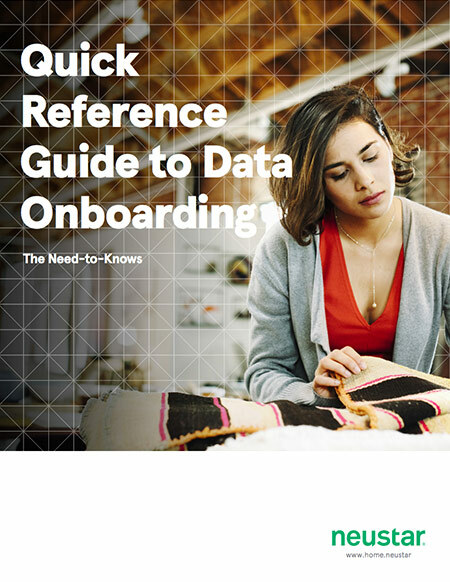 What Are the Benefits of Data Onboarding? Data onboarding is key in connecting offline activities and behaviors to online influences. It helps advertisers find shoppers who are online, offline, and vise versa, while also re-engaging those who have maybe gone silent. In the advertising world, it’s all about personalizing the experience for the audience. Knowing how users behave offline, along with how they engage online, is critical when interacting with them. What is CRM? What is CRM Data? CRM stands for Customer Relationship Management. CRM systems allow businesses to manage their relationships with customers and the data tied to them. They basically act as a 2017 version of a Rolodex, without the paper trail. Marketers can store customer contact information, leads, and opportunities in a centralized location for easy accessibility. CRM data is typically what marketers and advertisers refer to as first-party data. It includes data from loyalty programs, transaction level data, and CRM customer segments. The data is often divided into quantitative and qualitative. It includes the quantity of products sold, revenue, as well as the progressions and regressions of your business. Quantitative data can always be tied back to a number somehow. Qualitative data is gathered information. This information isn’t tied to numbers – it is your descriptive data. This could be survey responses or interview information, and can be harder to analyze. First, Second, or Third-Party Data – Which Is the Most Effective? Each offers unique insights on customers and audiences, and can be tailored to fit marketing needs. First-party data is generally the preferred data set by most enterprises and is considered more powerful because of its accuracy – not to mention it is free! First-party data is information gathered and owned by publishers and marketers. It is thought of as the most powerful data set because it’s free information about customers and audiences that is collected from them directly. First-party data consists of a combination of CRM data, social data, cross-channel data from mobile web and apps, and website data (such as interests, actions, purchase history, and behaviors). The data is collected through a direct relationship with consumers, and is generally perceived as the most valuable data for businesses trying to understand their audiences and strengthen engagement with their customers. Second-party data is often referred to as “partner data” or “someone else’s first party data,” because it is first-party data given to another party. This regularly takes place between publishers and advertisers. It isn’t first-party data because it isn’t collected directly from the source, and isn’t third-party because it isn’t purchased. An example could be acquiring an email list from a partner prior to a webinar – it isn’t your data, but you’ve mutually agreed to a term that grants you access to the data they’ve opted to share. Third-party data is generated by other websites or platforms, rather than from direct relationships with consumers. It is usually purchased from a data provider. Data providers pay or incentivize publishers to let them collect information about their visitors to create thorough profiles about interests and behaviors. This could include web interactions, activities, and behaviors that are used to create categories of users. The data isn’t typically gathered from a single site, but is generated as a set from different sites that have been licensed to share with third-parties. Then they sell the information to advertisers for better targeting. What Is a “Digital ID”? A digital ID typically refers to a single encrypted universal identifier that follows customers across the digital channels they visit, the transactional touchpoints they engage with, and the devices they use. Offline data is information about customers and prospects that isn’t generated on web or mobile apps. It can be a combination of PII-based data, Point of Sale (POS) data, transactional data, or CRM data. PII stands for Personally Identifiable Information. This can be a variety of personal information that can identify a user. Examples include: full name, home address, passport number or driver’s license number, birthplace, credit card numbers, date of birth, and email address. PII is very sensitive because it directly links to a person’s identity. This is the information used to steal identities or stalk individuals so it must be securely handled. To bring offline files online (i.e., onboarding), a match must be made between the offline file and the online identifier. Cookies are generally the most common online identifiers, while phone numbers and physical address could be strong offline identifiers to match the online profile. A match rate is the percentage of the offline file that was matched with an online cookie or mobile ID. What Are Typical Match Rates? While results fluctuate based on the onboarding provider, industry averages are between 30-50%, after distributing to partners and platforms. Individual-level data is typically provided by individuals themselves that can be personally self-identifying. Although it gives the impression that more personal targeting can be accomplished, the results of individual-level data can be underwhelming. Because there are fewer individual linkages, reach is lowered. The only way to compensate for that reduced reach is to generate false positives, which increases media waste and reduces the effectiveness of measurement. Household-level data is information gathered about consumers that live in the same household. It is the most valuable data that marketers can leverage for their strategies. It ensures a better reach, precise targeting, and less media waste. Can I Leverage More Than One Onboarding Provider? That’s entirely dependent on budget! Some brands leverage Neustar’s authoritative identity to make up for the deficiencies of another onboarder. If one onboarder can only match 60% of a customer list, the brand may choose to send the nonmatches to Neustar to push the total match rate much higher. Yes, and large enterprises should test to ensure they are making the right investment. Ask for at least a match test. Ideally, you should also get a “match-back” report, which will return your CRM list—stripped of its PII—with a flag indicating whether a particular record was matched and to what network/publisher. This allows you to see the reach you have with priority segments, instead of simply receiving a flat overall number. There is time and cost associated with data onboarding, so there is no point in wasting either on a solution that isn’t right for your business. If you’re looking at an onboarder and they refuse to test, walk away.